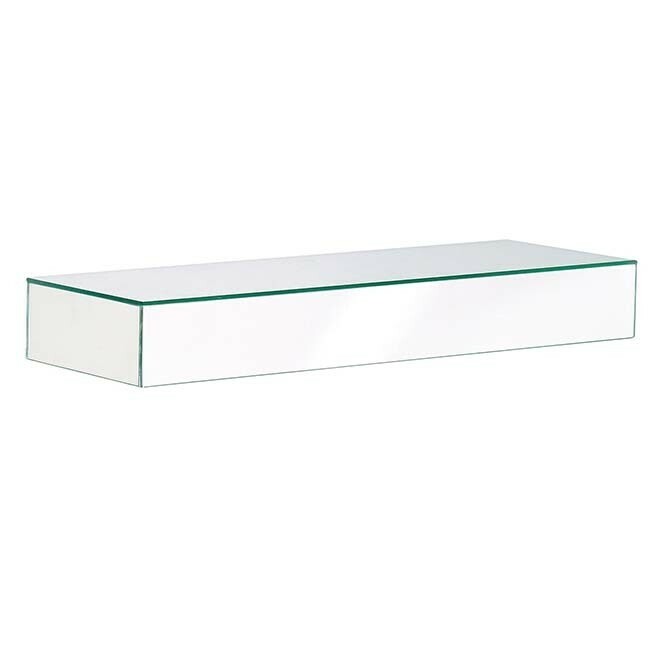 Create the illusion of a floating shelf with our beautiful Venetian Mirrored Glass Floating Shelf. 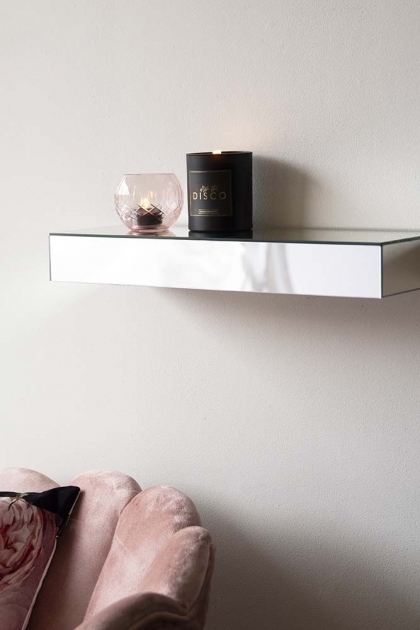 A contemporary style storage shelf perfect for all of your favourite treasures and display pieces the Venetian Mirrored Glass Floating Shelf will look fabulous in your home. Made from mirrored glass that will reflect light into your living rooms, hallways, home office and bedrooms, we recommend creating a style spot with your statement armchairs, floor lights and of course lots of quirky accessories to create a focal point in your home. A beautiful wall shelf that will look fabulous just about anywhere the Venetian Mirrored Glass Floating Shelf is a timeless storage piece that you will love.